I was looking forward to reading another collection by this author after thoroughly enjoying Midnight Call and Other Stories and was not disappointed. Even more varied than that collection, although not containing as many stories, this showcases his versatility as an author. The themes explored in these stories include the dark side of human nature, supernatural encounters, dystopian futures and monstrous deities. He pays a healthy respect for the classics of the field yet injects his stories with originality and thematic twists that place them firmly in the here and now. I don't know of any other author that writes in quite the same way. In "Power of Midnight", he suggests that the radical shift in cultural direction at the end of the 70's (ushered in by the Regan era) might have been brought about my one's person's listening to a forbidden cursed album, an audio "necronomicon". 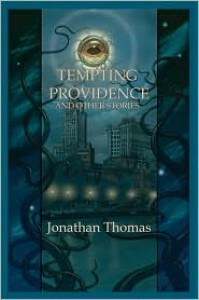 In "Tempting Providence" the protagonist is visited by Lovecraft's ghost in a sequence of events that appears to parallel Lovecraft's own story "Haunter of the Dark". "The Silence in the Copse" brings old Norse legends to life in modern Sweden as an American visitor learns more about their culture than is good for him. I loved "Into Your Tenement I’ll Creep" in which the tables are turned on a cynically exploitative lothario and "A Different Kind of Heartworm" in which a wife's peculiar discovery about her husband threatens to drive a wedge between them. A few of the stories I wasn't as keen on, such as "The Salvage Saints" which went on overly long in my opinion and "The Men At the Mound" which just didn't do much for me. But these were exceptions to the rule in otherwise quality collection.